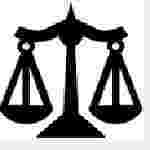 Gauhati High court Lawn Attendant recruitment 2016-17 apply for 24 posts : Gauhati High court welcomes application for the position of 24 grade – IV (Court attendant / lawn Attendant / Darwan / Farash) vacancies for direct recruitment. Candidates who completed their class VIII is a good opportunity.The individuals who are the occupation seekers searching for govt employments inGauhati this is the best chance to apply. Competitors read the official notification then read all the guidelines and miners precisely then apply before the last date online application got. All the interested and eligible candidates can apply online before 22nd July 2016. Candidates Age Limit: The age of the candidate should nor less than 18 years and should not be more than 38 years. The age of the applicant should be as on 1st July 2016. Academic qualification details: Candidates should have possess the minimum educational qualification of class VIII standard and those who have passed HSSLC or above shall be in-eligible to apply for the said posts. Applicants possessing special skills may be given preference on need basis. Details of Fee particulars: All the interested and eligible candidates are need to pay application fee Rs 360/- for general categories candidates and Rs 180/- for schedule caste categories candidates (SC) / schedule tribe categories candidates (ST) through Indian postal order (IPO) payable at Registrar, Gauhati High court, Aizwal bench, Aizawal, Mizoram. Official website: All the interested and eligible candidates can apply online through official website of Gauhati High court http://ghonline.gov.in from 12th July 2016 to 22nd July 2016. Important Dates: Starting date for the submission of application form is 12th July 2016. Last date for the submission of application form is 22nd July 2016. Last date for the payment of fee is 26th July 2016.